I’ve partnered with Deep River Snacks to bring you this blog post. As always, thank you for supporting CNC! It’s finally April, which means we are on the homestretch (fingers crossed!) to some warmer weather here in the Northeast! April will hopefully be the month we all come out of winter hibernation – but did you know that it’s also National Volunteer Month? It’s so important for me to be able to spend my time giving back to the community by helping in any way that I can. Volunteering is SO necessary – even a little bit of your time can go a long way towards bettering someone else’s life, and, at the very least, bring a smile to their face! That’s why I’m so excited to partner with Deep River Snacks, a company that is truly devoted to giving back. In fact, their “Give a Chip” program is committed to donating at least 10% of net profits (in addition to truckloads of chips!) every year to charitable organizations that touch the lives of their employees and families. If you pick up a Deep River Snacks chip bag, you will find a different charity on the back of each one. 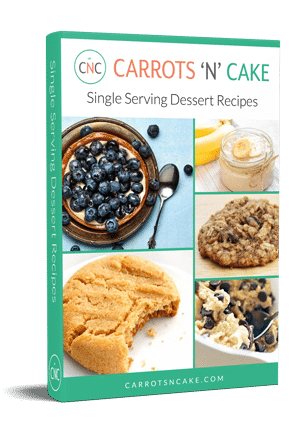 I mean, awesome-tasting, better-for-you, and non-GMO (!!) snacks that are also dedicated to giving back to the community?! It doesn’t get much better than that! The founder and CEO of Deep River Snacks is committed to helping charitable organizations that support families, based on his own family’s experience with chronic illness. In fact, one of his children was diagnosed with Crohn’s Disease, bringing this company even closer to my heart. I love supporting a brand that means so much on a personal level. You can actually find the Crohn’s and Colitis Foundation on the back of the Rosemary & Olive Oil bag! 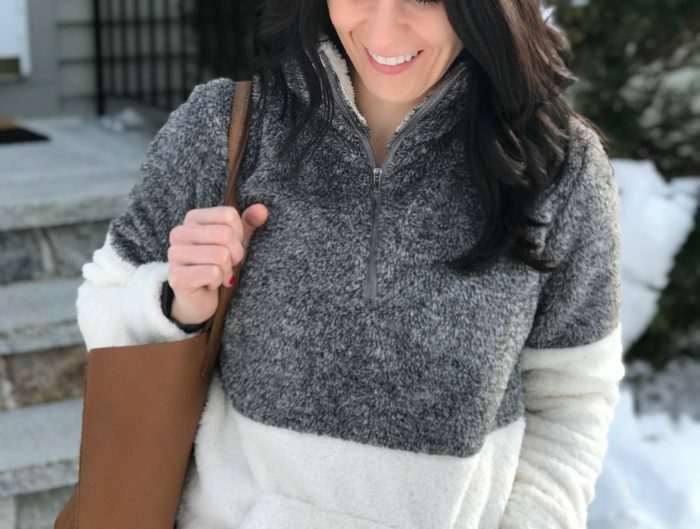 As many of you know, I suffer from a chronic illness, Ulcerative Colitis (you can read more about my journey with UC here). I was first diagnosed in June 2011 after my initial flare. I had so many hopes that the first one would be the last one, but, unfortunately, that’s not the way life goes! After my second flare in February of 2012, I quickly realized that fighting UC would be a long-term battle for my health. All I felt at the time was a jumble of emotions: I’m not a “sick” person! What does this mean for my quality of life? What the heck even is UC? Why me? Needless to say, it was more than just a little scary, and the thought that I was now “different” than everyone else kept running through my mind. The second flare was even worse than the first – cue the sleepless nights, frequent trips to the bathroom, and endless discomfort. 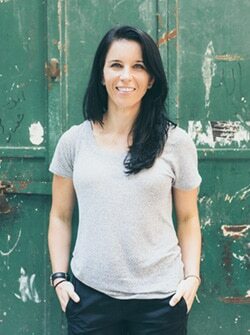 As someone who has been relatively healthy my whole life, I was upset and frustrated. I just wanted to be well. At the time, I didn’t have a great doctor and he wasn’t very helpful in being a dependable resource. Sure, I had the diagnosis of “ulcerative colitis,” but I didn’t really even know what that meant or what to expect for the long haul. Anyone who has been diagnosed with an illness, chronic or not, knows how important it is to have people and resources to turn to that can guide you on the right path when you are feeling a little lost and just want answers. That’s why I feel so lucky to have discovered the Crohn’s and Colitis Foundation. 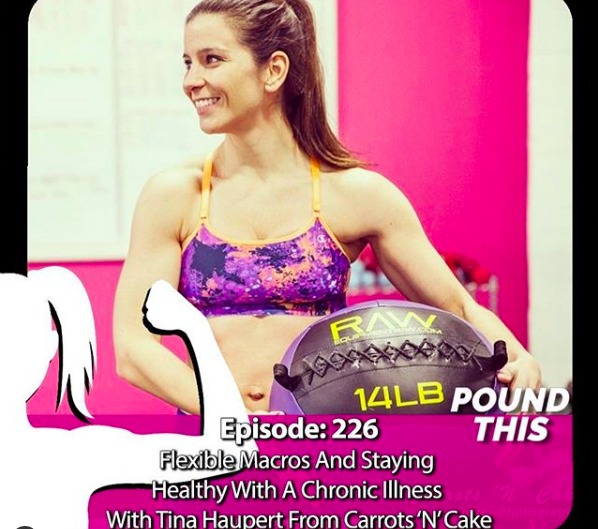 The CCFA is a non-profit, completely volunteer-driven organization that is not only dedicated to finding a cure for Crohn’s Disease and Ulcerative Colitis, but also focuses on ways to improve the quality of life for patients. Beyond research, the CCFA partners with healthcare providers to inform and empower both caregivers and patients through education and advocacy programs. Those of you who have been long-time readers will probably agree when I say that I have run the gamut of UC treatments – from steroids, to acupuncture, to food sensitivity testing, to participating in medical studies, to finally trying biologics like Remicade and Entyvio. The truth is, I feel lucky to even have so many options! Did you know that not even 20 years ago the only treatment options available to IBD patients were steroids and narcotics, both of which have terrible long-term side effects? Now, IBD patients have so many treatment paths to try, all thanks to the to the dedicated research and cutting-edge studies that are funded by the CCFA. Anyone who suffers from IBD knows how isolating the disease can feel. That’s why I am so glad that I volunteered at Spin4 Crohn’s & Colitis and attended the 2016 Boston Patient and Family IBD Symposium. It was amazing to be surrounded by people that understood the disease, helping me to feel a little less alone. 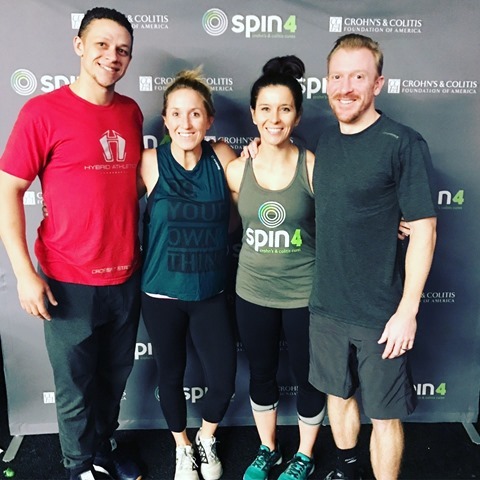 Not to mention that Spin4 Crohn’s & Colitis was a huge success – us Boston volunteers raised over $40,000 for the CCFA! Woohoo! 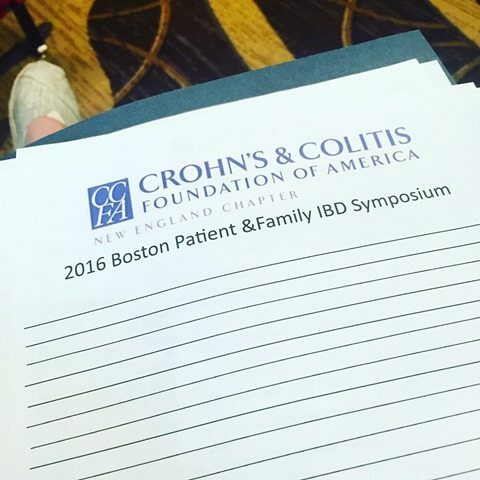 The 2016 Boston Patient and Family IBD Symposium was so educational and eye-opening. 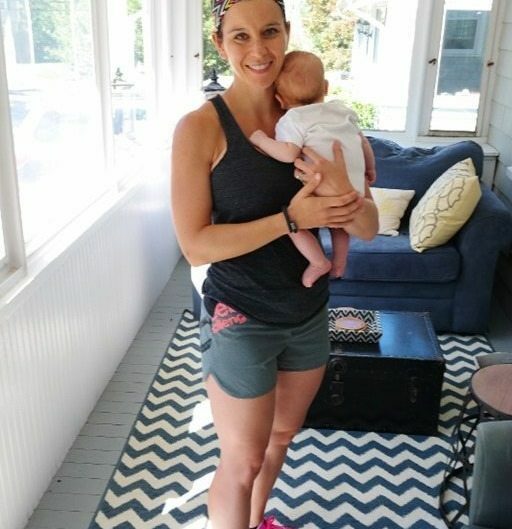 There were a number of interesting and informative talks and workshops that we could attend, including “Staying fit with IBD” and “Traveling with IBD” – two topics that you know are near and dear to my heart. One of the biggest challenges of traveling with UC has been finding snacks that are easy, portable, and good for you. And let’s be honest – sometimes you just crave a bag of chips when the hanger strikes! 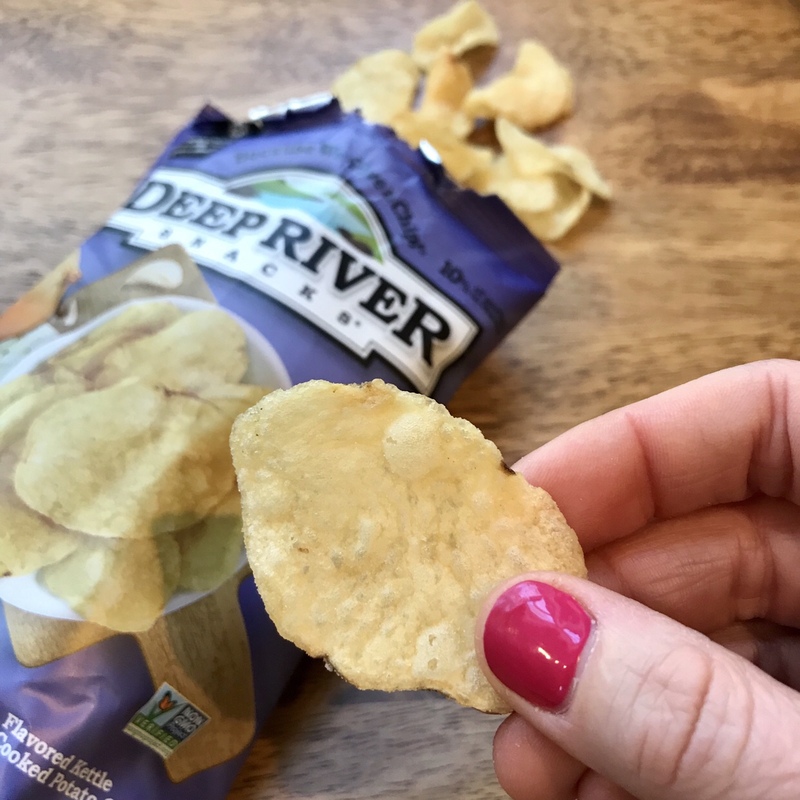 That’s why I love Deep River Snacks – all of their chips are certified gluten-free, non-GMO (yay! ), made in nut-free facilities, and vegetarian (many are also vegan). They also contain zero artificial colors, flavors, or preservatives. All good stuff, people. Deep River Snacks no-compromise promise is: “If we wouldn’t feed it to our family, we wouldn’t expect you to feed it to yours.” Love this! I am all about snacks that are not only great-tasting, but that I can feel confident feeding to my own family. It’s so important that I have quick, accessible snacks that can be grabbed in a pinch. And because their kettle chips are made from just potatoes, sunflower oil, and sea salt (that’s it! ), I don’t have to worry about an extensive list of crazy ingredients. I believe that you shouldn’t have to give up great-tasting snacks when adopting a healthier lifestyle, and neither does Deep River Snacks. 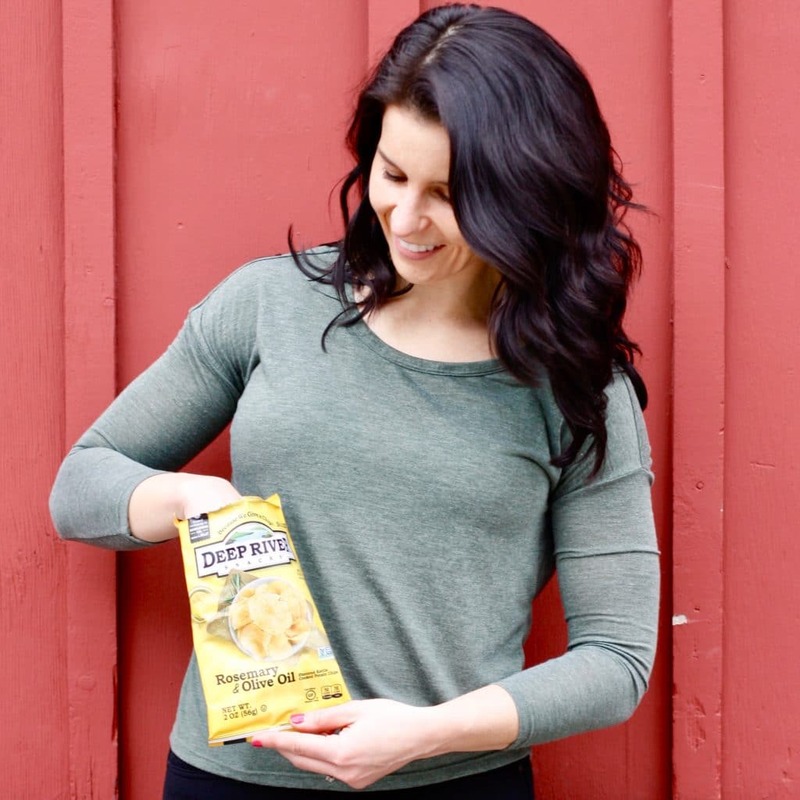 You can find Deep River Snacks Kettle Chips nationwide. Visit their website here for their store locator or visit Amazon.com. 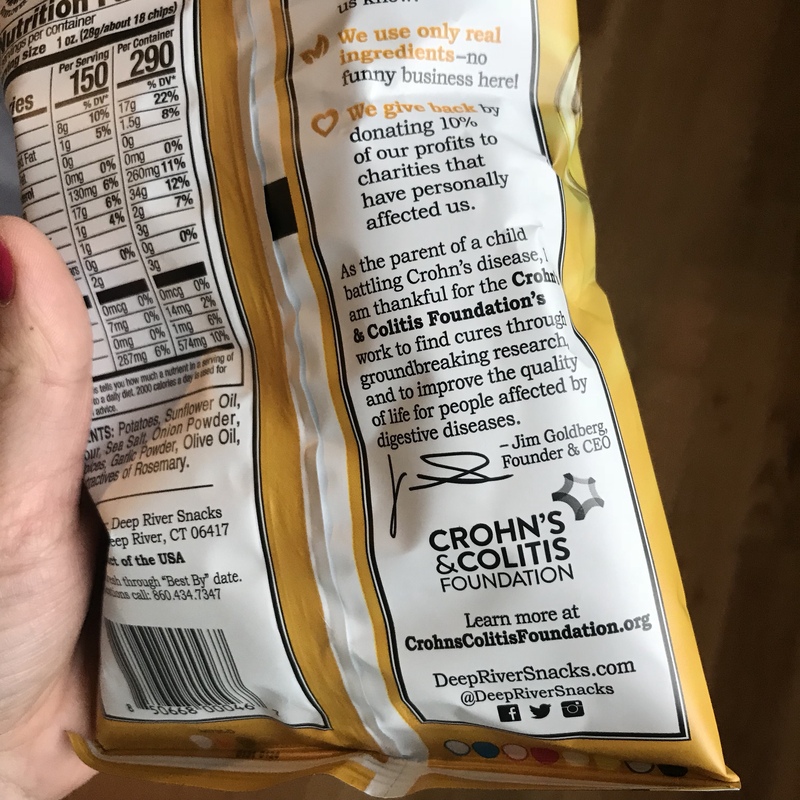 Brands like Deep River Snacks and organizations like the CCFA do so much for our community, and I am so happy to be a volunteer for a cause that is impacting the lives of IBD sufferers in such a positive way. This April, I’m encouraging all of you to get involved with a charitable organization that resonates with you. Whether it’s something health-related, a local community cause, or volunteering at an animal shelter (or becoming a therapy dog team! ), we all have talents we can contribute to making the world a better place, one step at a time. If you need help choosing a cause for National Volunteer Month, Deep River Snacks has a quiz to help find the perfect volunteer opportunity for you! One of my favorite quotes is: “Be the change you wish to see in the world,” by Ghandi. It might take a lot of volunteers, but the change won’t be made without YOU. You never know how many lives your contributions will touch! 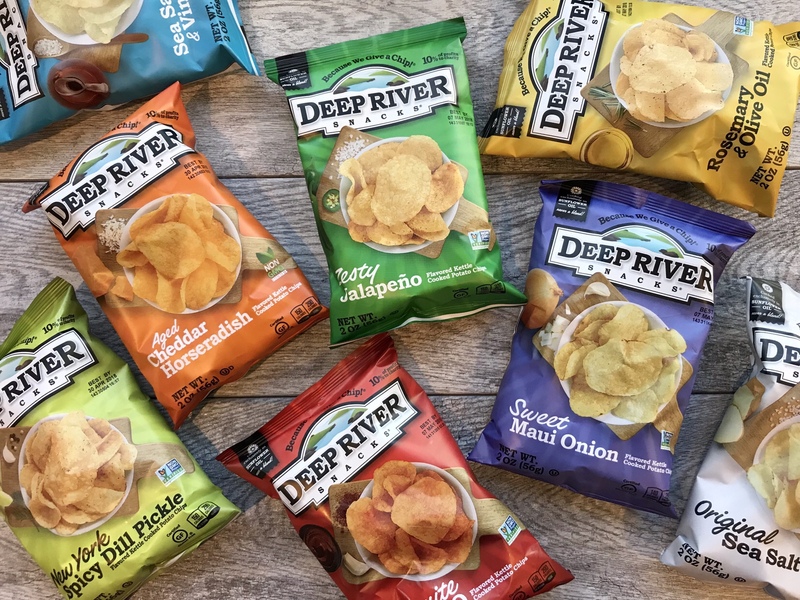 Here’s your chance to win a 6-month supply of chips from Deep River Snacks!!! To enter: Just leave a comment on this blog post about your favorite way to volunteer. I’ll randomly pick a winner next week. Good luck! I love volunteering to help other departments at work. It’s fun to get outside my comfort zone and walk in their shoes. I love volunteering in my church’s nursery every few weeks. I work at a Title 1 school where over 3/4 of the population are from low income houses and opportunities are so limited. I love volunteering at after school programs to help keep students engaged. Most recently? Volunteering at our first school Talent show! Anything related to kids…tutoring, mentoring. All kids deserve a fair shot at life, and it takes a village to make sure that happens. I love volunteering with little kids! 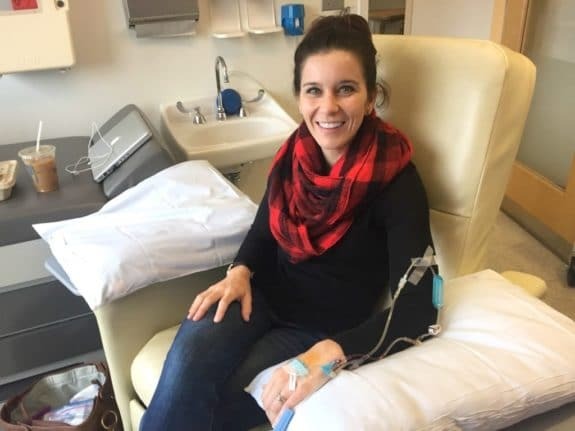 It is so energizing and inspiring, plus a ton of fun 🙂 I also love to donate blood, since it directly helps someone in a time of need -and there’s a constant need for donated blood and platelets! Not traditional, but I always volunteer to help my husband with anything he needs at work (taking photos and assisting at events), same goes for any of my friends. I’ve also made new friends by offering to take down wallpaper! Still great friends today! A chip that is delicious and gives back, yes and yes! So glad to even learn more and am going out to buy some in hopes I win this giveaway and get even more! I am a middle school teacher full time and have two busy middler schoolers of my own. #middleschool247 but I save my personal days to get into their classroom for a field trip or an inclass presentation as often as I can! Working full time makes volunteering on a regular basis tough but being a teacher I know that sometimes you need help, and I love to provide their teachers with help when I can! Anything involving animals, be it straight up monetary donations or spending time with them. Today after work, I plan to drop off old towels, sheets and blankets to my local kennel so that kenneled dogs and cats have somewhere warm and soft to sleep. My favorite way to volunteer is with my coworkers! We have manned aid stations at 5ks and partnered with feed my starving children to pack meals during the Holidays. I love volunteering with kids, reading, helping them with schoolwork, etc! I love to volunteer thru my work to help give the gift of hearing. We take donated hearing aids and fit them to children and adults of all age ranges and walks of life. The smiles when people realize they are hearing their loved ones voices for the first time makes it all worth it. I am a high school special education teacher and my favorite way to volunteer is staying after school to help my students stay on track for graduation. Additionally we go out into the community together to give back by doing service learning projects such as yard clean ups and volunteering at Ironman races and other half marathons/5ks in the area. I volunteer at St. Jude and help lead American Heritage Girls Through my church. Anything that has to do with helping girls learn to lead and serve in their communities and families with a sick child has my heart. I have started organizing therapy dogs to come and spend time with cancer patients. It makes me feel good to give back to people who aren’t feeling well. Seeing the smiles on their face when they see a pup is just the best! Volunteering in the nursery at church is my favorite! I work at a hospital in the Marketing department and I love to volunteer with the Children’s Hospital or any other service line that needs some extra hands or smiles! I thru-hiked the Appalachian Trail in 2015 and met hundreds of volunteers doing trail maintenance along the way. Since finishing, I volunteer my time on trails out here in Colorado! I hiked for thousands of hours and have only made a small dent of time volunteering. I love helping to preserve the outdoors for others and this is my way to give back. Also, my grandma has Crohns. Thank you for bringing light to these painful diseases! I volunteer with local youth para-athletes and love cooking for the Ronald McDonald House in Boston. I may or may not be known at the chip queen in our house! Love Deep River Chips and now a reason to love them even more! I manage a nonprofit organization that brings classic literature to life through live theatrical adaptations that travel to schools, libraries, etc, particularly in low income areas. That is technically work so I won’t count that as “volunteering” though! I do love to volunteer cleaning up parks and my neighborhood. Once my dog gets a bit older/calmer, I want to look into having her become a therapy dog and volunteering that way as well. My favorite way to volunteer is by helping animals – this reminds me, I need to find a volunteer opportunity to do with my 2 year old. I volunteer at a local homeless shelter and with a program that sends books to prisoners. I believe helping those in the most difficult positions in our society is the best way to be of service! I love volunteering for my kids school. Not only do I get to see their smiling faces, but the teachers and community are so happy and appreciative. I also volunteer for Children’s Charities which is raising money to put in an all-inclusive park in our town. i’m the vice-president of my town’s junior service league and we sponsor a local chairty every year and throw a big fundraiser to raise a lot of money. we also support other local organizations through the year. i love doing this so my daughters will learn a love of their community and how important it is to give back. Idk if you consider this volunteering but my favorite way to give back is donating blood. I love giving back to any group focused on children. It’s amazing to see the impact you make and how much the little efforts make a world of difference. I join an at-risk middle schooler at lunch once a week in her school cafeteria. We chit chat and I basically just offer encouragement and support. Those years were tough for me, so I get it! I am very passionate about animal rights and love doing what I can to support local rescues with any domestic animals! I love volunteering at my local animal shelter! We belong to two different dog rescues and foster pups :). I enjoy volunteering at the local animal shelter with my daughter. We love on the beach and participate in several beach sweeps throughout the year. It’s nice to help take care of a resource that many people take for granted. Our family volunteers at our local Humane Society, the same shelter from which we adopted our two sweet cats and our sweet dog, who is now in heaven. I love to volunteer at our local food/soup kitchen. It is a very rewarding experience. I love volunteering at my church’s food program or by teaching Sunday school. We love to walk dogs for the local rescue! I have loved volunteering with Girls on the Run, and introducing running as a healthy way to build self esteem and create a strong generation of girls! Girls on the Run-I love this group! My family loves to volunteer at Vacation Bible School at our church! Throughout the year, I also teach Sunday School and organize meals for our youth group. Love this post! I am a Junior League member and our chapter has partnered with the United Way’s Ending Hunger in the Classroom initiative. We pack food bags for children to have over the weekend and my 5 year old even comes to make encouragement cards that go in each of the bags! I’m in grad school, and my peers and I focus on mentorship and financial literacy education! I love volunteer on the ball field! I did the big sister program for many years and I loved it so much! We volunteer for & fund raise for the Arthritis Foundation. A cause near & dear to our hearts because both of our daughters have juvenile idiopathic arthritis. Over the past three years we’ve raised around $17,000 for the Arthritis Foundation & we are still working on it! $ means research can happen & new treatments can be found. We want that for our kids & everyone else living with arthritis. I enjoy volunteer work at the hospital. It’s very rewarding!